WTD – What the duck? This is one of those stories you can not possibly make up. And proof that no matter how old your kid is, it is guaranteed that he/she will continue to do things to throw you off guard and cause havoc in your life. Picture this. Two college student cousins on a family vacation on the Cape. One night they start getting into a conversation about what would be a cool pet to have. They remember a Friends episode with a pet duck. One thing leads to another, google is involved and the next thing you know they have ordered 6 ducklings online. Fast forward a week and some duck food arrives at my girfriend’s house. ‘What is this about’?, she asks her 20-year-old son. 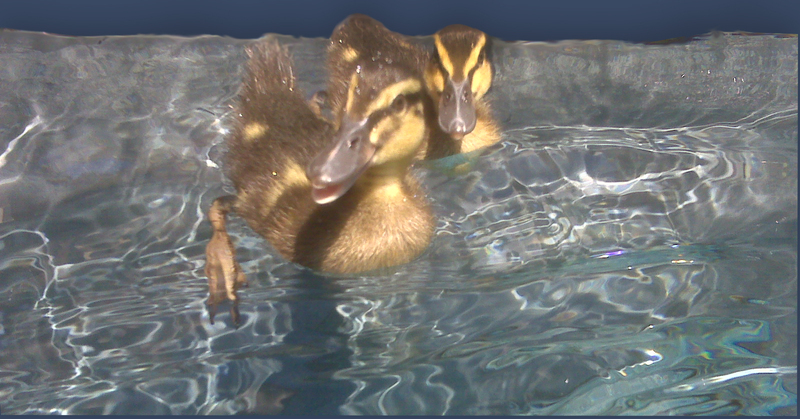 Um, we ordered some ducks as pets. ‘Yeh, right’, she thinks and goes about her business. Mother: of course I am not home, you know I am at work and I am crazy busy. What can I do for you? Son: Wellllll… the ducks are going to arrive to day. Mother: that is unfortunate because I am at work and so are you so those are going to be some fried ducks when we get home. They worked it out, had someone come over and let the ducks in and when they got home the son created an environment for them in the garage with a car roof carrier and a cooler, rigged with some netting to keep the raccoons out. So my friend asks herself, “What the duck? I mean are you ducking kidding me?! !